Probably when I got my first win in 2012. With more and more success, I knew it was what I wanted to do. Greatest racing memory: Winning my home race, the Tour of Austria. 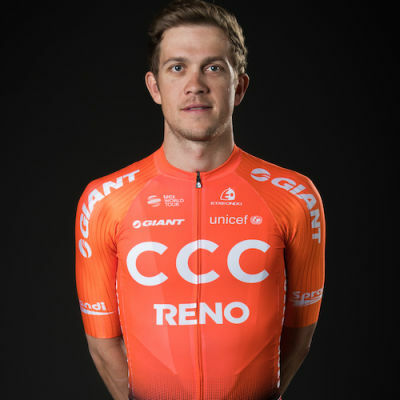 Two-time Austrian road race champion Riccardo Zoidl returned to the WorldTour with CCC Team in 2019, having previously raced with Trek-Segafredo from 2014 to 2016. After two seasons at the Continental level, Zoidl is motivated to return to his winning ways—which saw him claim back-to-back national championships in 2013 and 2014 and victory at the Tour of Austria in 2013. Zoidl’s success in 2018, including a stage and the overall victory at the Czech Cycling Tour and the win at Le Tour de Savoie Mont Blanc, put him on the radar of CCC Team for the 2019 season. He brings a wealth of experience to the team, including grand tour experience at the Giro d’Italia (2014, 2016) and the Vuelta a Espana (2015, 2016).